Langley Family Dentist JVR Dental is a Langley dentist that offers pediatric dentistry, dental cleanings, routine checkups, cosmetic dentistry and much more in Walnut Grove. LANGLEY PEDIATRIC & FAMILY DENTIST As your Langley dentist, we strive to offer our patients with the best state-of-the-art dentistry, dental care, and long-term dental support in the Langley area. Dr. Leana Lundt works hard to ensure that she and her team are able to exceed patient expectations. As your Langley family dentist, JVR Dental does this by offering an extensive range of comprehensive dental services combined with the latest technology and techniques. The most important service that JVR Dental provides is serving the needs of the Langley patient, and doing the best that they can to help improve smiles because when our Langley patients smile, we smile with them. 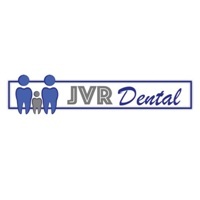 JVR Dental in Langley is a friendly, caring, and relaxed dental practice. Book an appointment with the best Langley dentist today for a unique experience with lasting impressions.